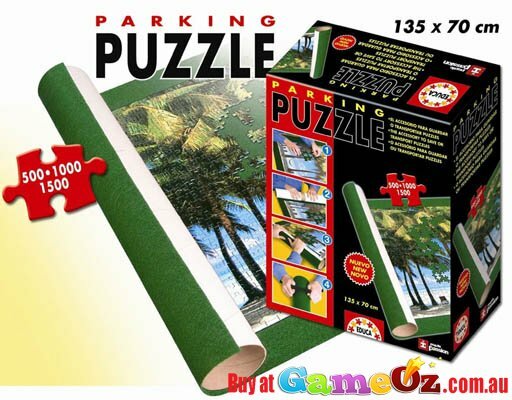 Parking Puzzle, Your puzzle storage solution to save and transport your puzzles. 1. Put the puzzle together on the felt mat provided and spread it out. 2. 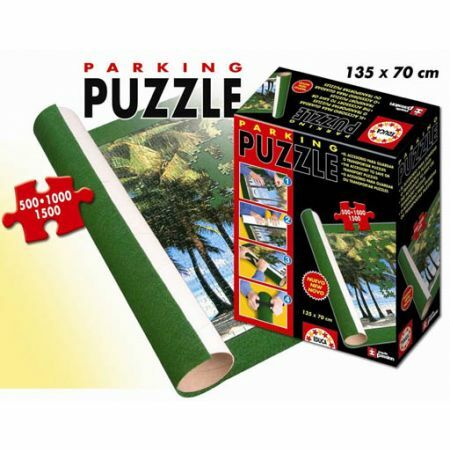 Fit the three cardboard cylinder pieces together to form a tube. 3. Roll the mat with the tube, making sure both are firmly held. 4. Place the fastening strips on both ends to ensure it is secured.